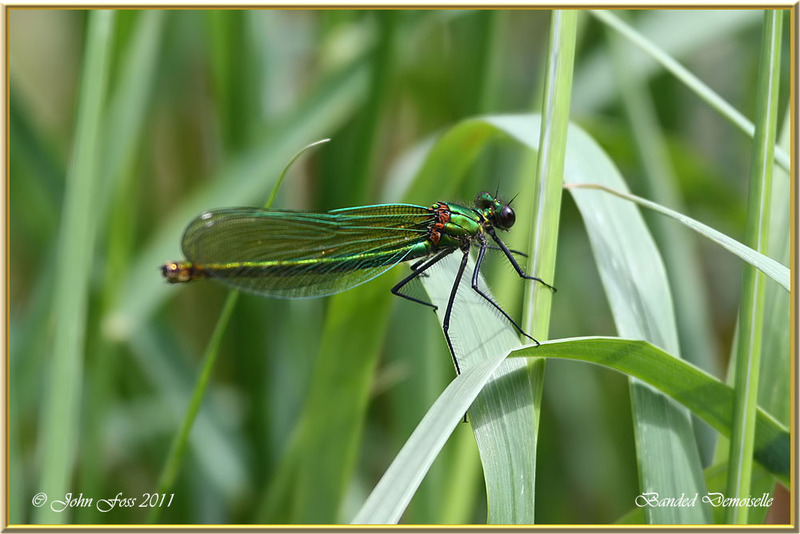 Banded Demoiselle - Damselflies are similar to dragonflies. The difference being, the wings of most damselflies are held along the body when feeding or resting. 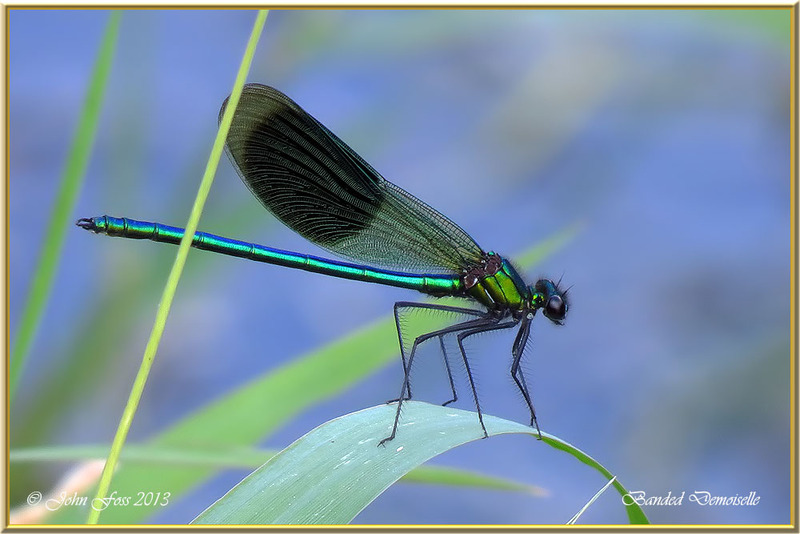 The two sets of wings are also similar in size and most damselflies are smaller than the dragonfly. 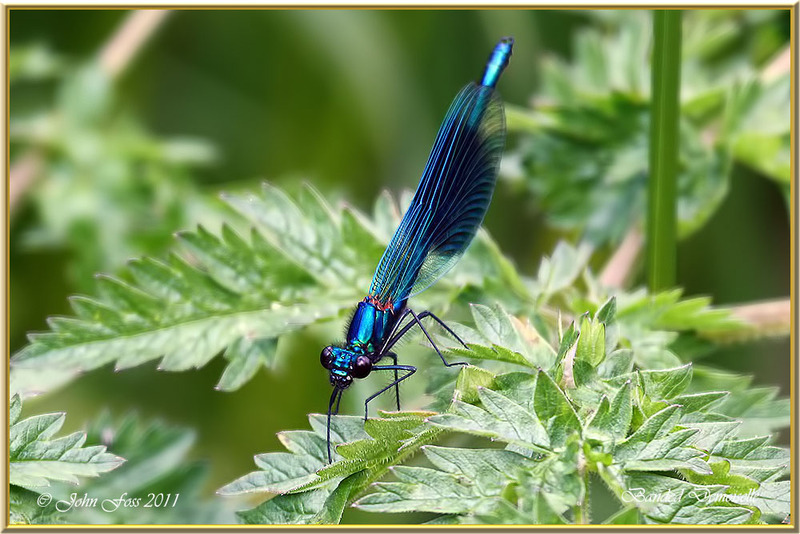 The male Banded Demoiselle is a metallic blue whereas the female is green as shown here. Photographs from Attenborough Nature Reserve Nottinghamshire and Battlebridge Co. Leitrim.